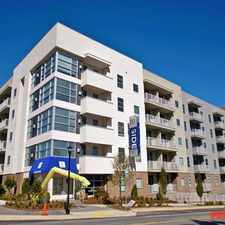 1270 West Peachtree Street Northwest has a Walk Score of 78 out of 100. This location is Very Walkable so most errands can be accomplished on foot. 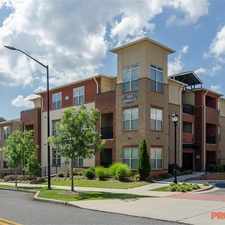 1270 West Peachtree Street Northwest is a one minute walk from the GOLD GOLD-Northeast Doraville Line and the RED RED-North South North Springs Line at the ARTS CENTER STATION stop. This location is in the Midtown neighborhood in Atlanta. 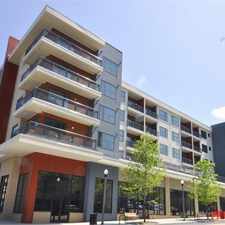 Nearby parks include Arts District Plaza, Pershing Point Park and Yonah Park. Explore how far you can travel by car, bus, bike and foot from 1270 West Peachtree Street Northwest. 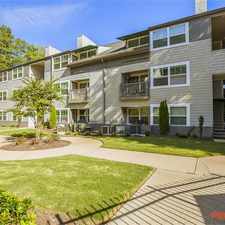 1270 West Peachtree Street Northwest has good transit which means many nearby public transportation options. Car sharing is available from Zipcar and RelayRides. 1270 West Peachtree Street Northwest compared to all of Atlanta. How do you feel walking near 1270 West Peachtree Street Northwest? 1270 West Peachtree Street Northwest is in the Midtown neighborhood. 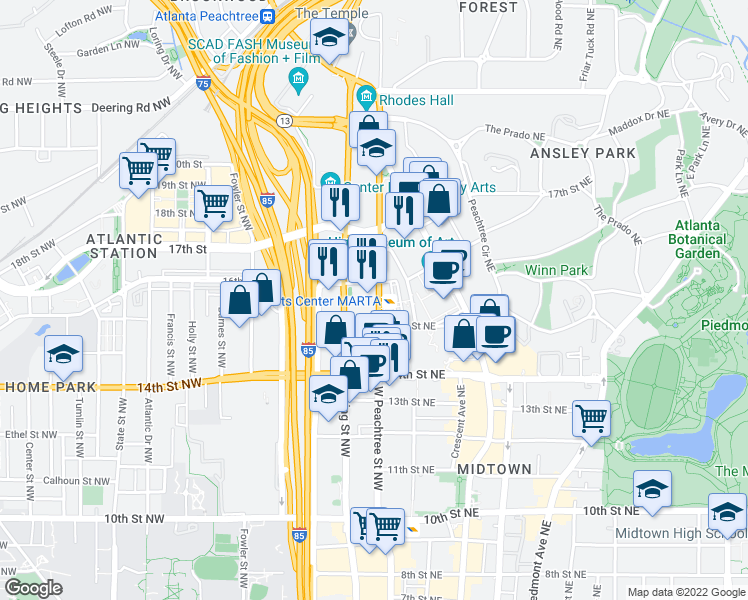 Midtown is the 6th most walkable neighborhood in Atlanta with a neighborhood Walk Score of 88.